The Color Purple, a musical based on Alice Walker’s novel, premiered in Atlanta in 2004. Although a huge success on Broadway from 2005 to 2008 the show has never been staged in Europe before. The show tells the story of Celie, a coloured girl living in Georgia at the beginning of the 20th Century. We follow Celie’s life with all its ups and downs and get to know the people she meets along the way. For a full synopsis I recommend taking a look at http://en.wikipedia.org/wiki/The_Color_Purple_(musical). I knew little about the musical prior to watching the show but like many others I had watched the movie so I was familiar with the story. And it is by all means not an easy story to stomach. Celie is an abused black girl, a victim. She suffers abuse from her father and later from her husband to which she offers herself to marriage to save her sister Nettie. Later on she is made believe that Nettie – the only person she loves – is dead. It is only when nightclub singer Shug arrives that Celie begins to see a brighter side of life. 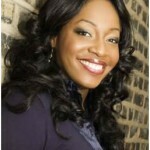 The score is a mix of blues, gospel, jazz and swing and is wonderful delivered by the stellar cast of this production. 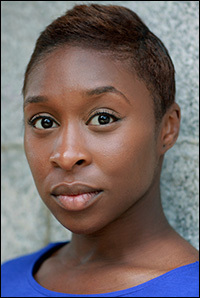 Cynthia Erivo shines as Celie. She is without a doubt the star of this show and her heartbreaking rendition of “I’m here” received a well deserved standing ovation mid show at the performance I attended. Cynthia’s Celie grows from a little abused girl into a strong, independent woman who still sees the positive sides of life despite having suffered physical and emotional pain from an early age on. Nicola Huges plays Shug with a fiery passion. Her voice is rich and powerful and she captures the character perfectly. Adebayo Bolaji is Harpo, the son of Celie’s husband. He does a good job but doesn’t really manage to stand out amongst the powerful performances of Cynthia and Nicola. Abiona Omonua’s Nettie is sweet and likeable. I’m always happy to watch new musicals and this is without a doubt a great show. I can’t really fault it although I can imagine it might be a bit hard to follow the different pieces of storyline that seem a bit cramped together – but then telling the story of several people over a time span of about 40 years in under 3 hours is obviously not an easy task. However, personally I have to say that I can’t really bring myself to love this show. I can’t connect with the characters and therefore I’m not actually interested in their stories. The music is fitting for this show but nothing I enjoy listening to. The Color Purple turns out to be a really well done show (the staging is simple but clever, the score suits the story, the cast is exceptional). A show that should be seen by any musical theatre fan. But also a show that is just not for me. But then we can’t all love every musical and I appreciate this production for being brave and passionate and showing once again that the Menier Chocolate Factory is London’s number one fringe venue with a sense for hit shows. 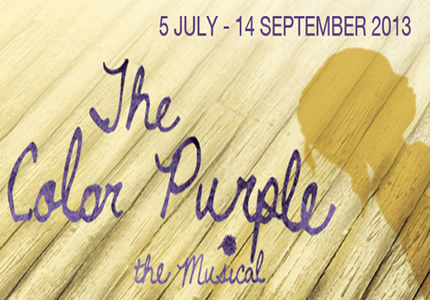 The Color Purple is running until 14th September 2013. I advise you to go and see this show – it is one of those pieces of theatre that might rip your heart into pieces (in a good way!). For more info and to book tickets go to http://www.menierchocolatefactory.com.